NOTE: There’s a link to the full article at the end of this post. Physical I/O patterns generated by Oracle Database workloads are well understood. The predictable nature of these I/O characteristics have historically enabled platform vendors to implement widely varying I/O acceleration technologies including prefetching, coalescing transfers, tiering, caching and even I/O elimination. However, the key presumption central to all of these acceleration technologies is that there is an identifiable active data set. While it is true that Oracle Database workloads generally settle on an active data set, the active data set for a workload is seldom static—it tends to move based on easily understood factors such as data aging or business workflow (e.g., “month-end processing”) and even the data source itself. Identifying the current active data set and keeping up with movement of the active data set is complex and time consuming due to variability in workloads, workload types, and number of workloads. Storage administrators constantly chase the performance hotspots caused by the active dataset. All-Flash Arrays (AFAs) can completely eliminate the need to identify the active dataset because of the ability of flash to service any part of a larger data set equally. But not all AFAs are created equal. Even though numerous AFAs have come to market, obtaining the best performance required by databases is challenging. The challenge isn’t just limited to performance. Modern storage arrays offer a wide variety of features such as deduplication, snapshots, clones, thin provisioning, and replication. These features are built on top of the underlying disk management engine, and are based on the same rules and limitations favoring sequential I/O. Simply substituting flash for hard drives won’t break these features, but neither will it enhance them. EMC has developed a new class of enterprise data storage system, XtremIO flash array, which is based entirely on flash media. XtremIO’s approach was not simply to substitute flash in an existing storage controller design or software stack, but rather to engineer an entirely new array from the ground-up to unlock flash’s full performance potential and deliver array-based capabilities that are unprecedented in the context of current storage systems. 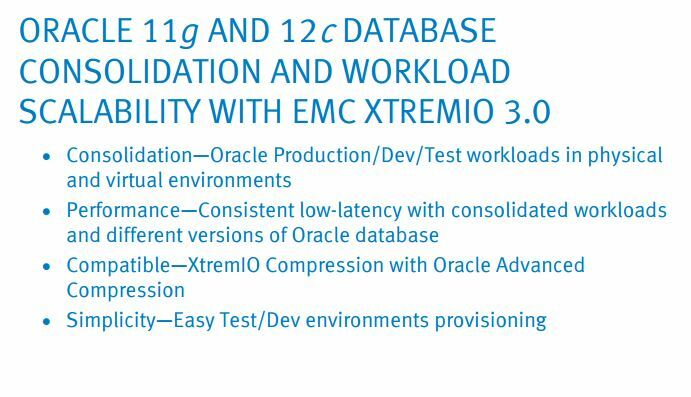 This paper will help the reader understand Oracle Database performance bottlenecks and how XtremIO AFAs can help address such bottlenecks with its unique capability to deal with constant variance in the I/O profile and load levels. 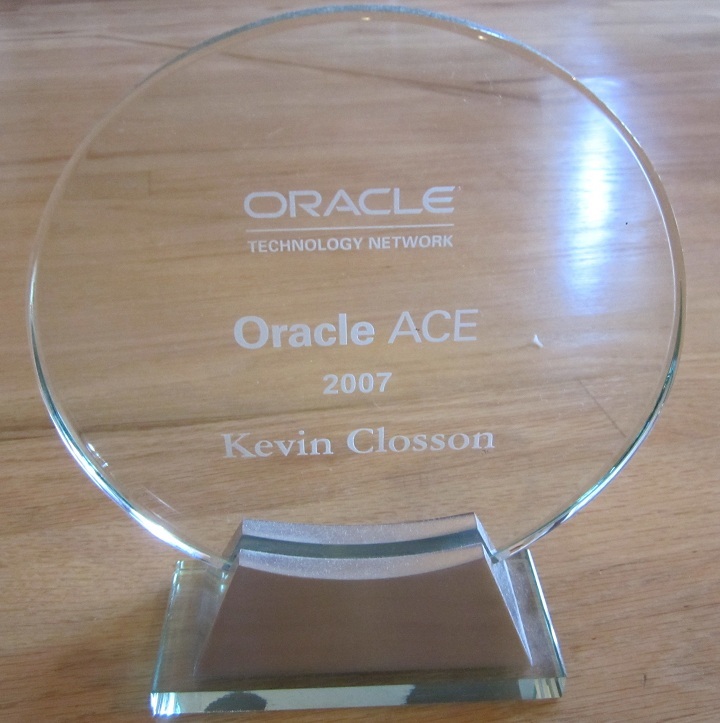 We demonstrate that it takes a highly flash-optimized architecture to ensure the best Oracle Database user experience. Please read more: Link to full paper from emc.com.